Just as one wouldn’t plan to go on a long car trip without first fueling up the car with a tank of proper octane gasoline, always plan to begin an exercise period well-hydrated and with adequate muscle fuel stores from carbohydrates stored as glycogen so that any athlete is really ready for exercise. The human body, including its muscles, should contain a lot of water. When anyone starts playing hard in any sport activity, they are going to starting sweating and losing water. That water simply has to be replaced. Keep in mind that the goal before, during, and after sports as well as artistic performance is really hydration, along with proper carbohydrate availability for fuel and proper availability of electrolytes. Consuming water-based fluids early and consistently to replace sweat losses during any exercise periods is critical to playing one’s best at any sport. Understanding an athlete’s sweat rate and total sweat losses can better enable one to determine fluid needs during exercise (we’ll talk more about that in Part 2 of 2 of this blog series). For exercise that is more moderate and NOT of a higher intensity, lasting 60 minutes or less, usually consuming cool (never ice cold) water alone will suffice to meet hydration needs. Typically, prolonged duration moderate intensity exercise (>90 minutes) or a HIGHER intensity of exercise lasting a shorter period closer to 60 minutes, requires replacing fluid losses and also energy losses of carbohydrates that were burned up for fuel, along with electrolyte losses of sodium and potassium. There are a number of potential ways to handle replacing those losses that go beyond just repleting with water alone. When more than water is needed, consider whether appropriate commercial sports drinks for the athletic situation and athlete involved, or diluted fruit +/or vegetable juices, or homemade isotonic sports drinks might do the job. For recovery after practices or events, some athletes even find low-fat or fat-free milk might do the job for them. A publication from Sports Dietitians UK entitled “Food for Sporty Teens” includes mention of how to make up your own isotonic sports drink. (In that publication, they use the word “cordial” to mean a concentrated non-alcoholic fruit syrup that is diluted to taste. In the USA, remove the word “cordial” and substitute “fruit puree or nectar, or even fruit juice” in its place noting the H2O already in the recipe will take care of any dilution). Various brands of commercially available sports drinks are available globally (with potentially different formulations in different places) and here in the USA, a dietetic colleague, Sally Bersch Hara, MS, RD, CSSD, CDE has a nice discussion of those available stateside on her site–check it out! Formulations and options are always subject to change in the world of sports drinks, so be sure to verify current information on any sports drink product labels. DON’T confuse “sports drinks” with “energy drinks”–they are NOT the same thing! Sports drinks are specifically formulated for a purpose when it comes to hydration. Sports drinks specifically address not only fluid needs, but also carbohydrate and electrolyte needs. They often have both coloring and flavoring to encourage their consumption as they will only do a body good if properly consumed. Energy drinks, on the other hand, are NOT designed specifically with sports performance in mind. Energy drinks frequently contain caffeine. They may contain an assortment of other added substances which may or may not be what a body engaged in sports can optimally benefit from. Energy drinks often contain too high a concentration of carbohydrates as well for sports hydration purposes. If your concern is for a “junior athlete” per se, then there is a nice Fact Sheet publication “Fueling and cooling the junior athlete” from Sports Dietitians Australia (SDA) that goes into some good detail specifically addressing younger athletes. A key point mentioned is that children aren’t able to regulate their body temperature as well as adults can and children often wait until they feel thirsty to ask for something to drink. 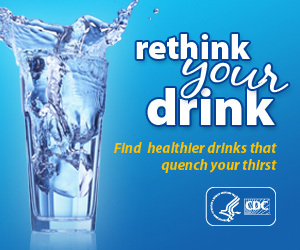 Children can easily get so caught up in playing sports that they can forget to stop and hydrate, so adults need to be proactive and look out for them, reminding them to take breaks and hydrate to help prevent dehydration from setting in. (In that publication, they use the word “cordial” to mean a concentrated non-alcoholic fruit syrup that is diluted to taste. In the USA, remove the word “cordial” and substitute “fruit puree or nectar, or even fruit juice” in its place). Another good point the “Fueling and cooling the junior athlete” Fact Sheet raises is that saliva in the mouth helps to protect teeth from “acid attacks” (think dental erosion). Needless to say, dehydration means that any saliva production will be reduced. 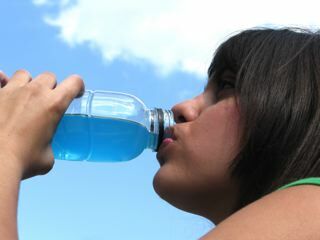 Be alert to potential issues for young athletes when it comes to their teeth being exposed to too many acid beverages or solids including from fruit juices and fruits, sports drinks, sports gels, and soft drinks that might have prolonged contact with their teeth if they are consumed before, during or just after sporting events. Through the SDA site, one can also access some booklets previously developed by one of the SDA members for junior athletes ages 5-11 for various sports popular in Australia including basketball, cricket, dancer or gymnast, “little athletics” aka cross-country as well as track and field, netball, rugby league, rugby union, soccer, swimming and tennis. By the way, SDA has its own Fact Sheet on Sports Drinks and Sports Waters available in Australia. SCAN here in the USA has a number of different Fact Sheets for consumers as well. It’s smart to plan ahead and stay properly hydrated when it comes to both sports and artistic performance training and events. We’ll cover more about hydration in Part 2 of 2 of this blog post series, including how to possibly estimate fluid losses during exercise; and potential hydration issues to be aware of before, during, and after sports or artistic performance activities. Go on Green–Now is the Time to Rethink Your Drink! What a great reminder to stay hydrated – and perfect timing! Can’t wait for part 2! !